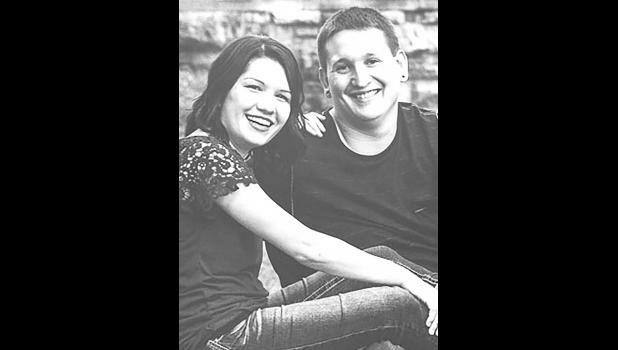 The parents of Kirsti Donahue and Aaron Mzhickteno are happy to announce their engagement and upcoming wedding. Kirsti is the daughter of Belinda Alexander and her husband, Bob, of Topeka and Bill Donahue and his wife, Kellie, of Herington. Aaron is the son of Marguerite and Larry Mzhickteno of Mayetta. Kirsti is a 2012 graduate of Herington High School. Aaron graduated in 2007 from Topeka High School. He is a member of the Prairie Band Potawatomi Nation. The couple met on May 1, 2015 as slot attendants at Prairie Band Casino & Resort. Their destination wedding will take place in Las Vegas on March 15 with a reception on March 24 in Topeka.